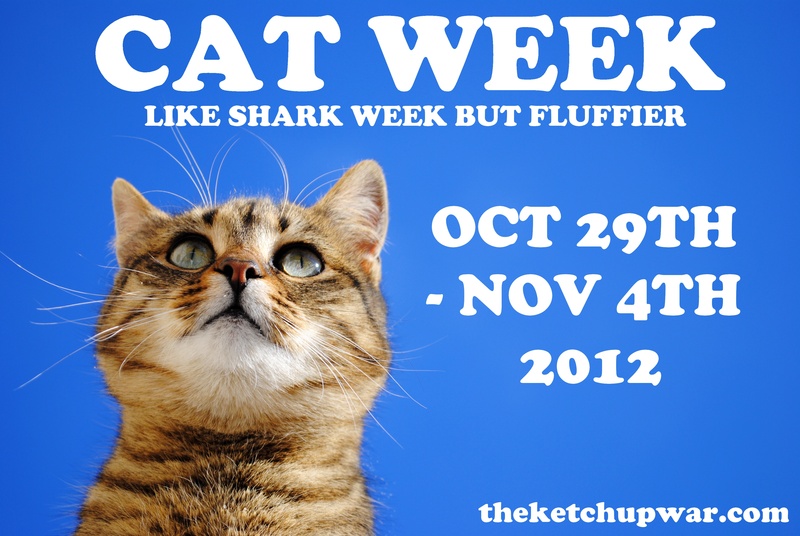 To prelude tomorrow’s kick-off of ‘Cat Week: Like Shark Week But Fluffier’, I wandered upon this online today. The Ketchup War is not affiliated with Shark Week or this video at all…In fact, I’ve never even watched Shark Week due to my fear of being eaten at sea. Other fears of mine include very small spiders, that shushing noise nylon makes when it’s rubbed together and wallpaper…although that may not be a fear so much as a hatred. It’s the flower patterns. I just don’t get it. Enjoy this wonderful video from the folks at Revision 3, a very cool internet TV company.